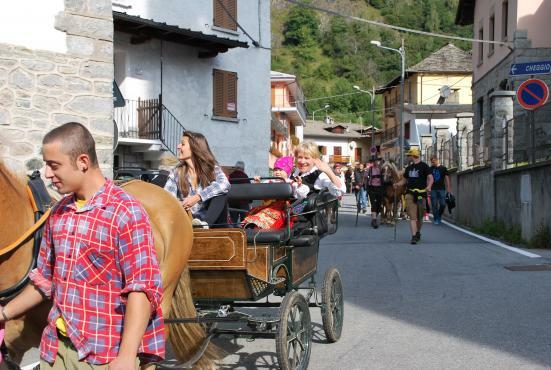 In Valle Antrona there isn't a mass tourism. That's why Valle Antrona and its natural park , still retain their full force and wild beauty. 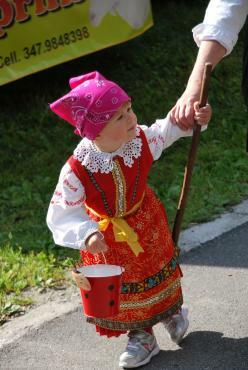 Each season offers entertainment and pastimes. You can go hiking, walking, hiking in the mountains, but also cross-country skiing and mountaineering. And if skiing is not your thing, you can experience the thrill of snowboarding in snowy forests, or get involved by happiness of our parties and festivals in July and August. And the magic continues until Christmas. 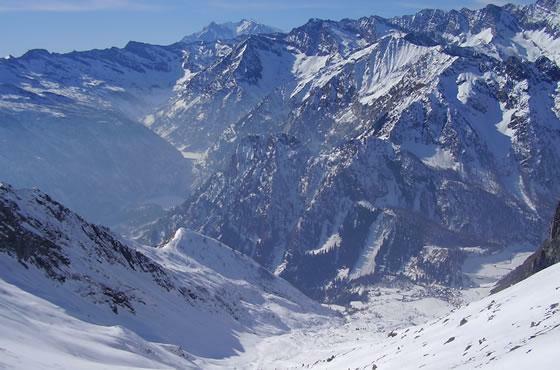 The Valle Antrona Natural Park boasts 78 trails leading to mountain huts and bivouacs. You can choose, depending on the difficulty and the time at your disposal, including a simple stroll to observe the flora and fauna in all relax. These lakes are well worth a visit especially because the Valle Antrona is famous because of these lakes that surround our small country. A curiosity: four of them are artificial due to the construction of dams. 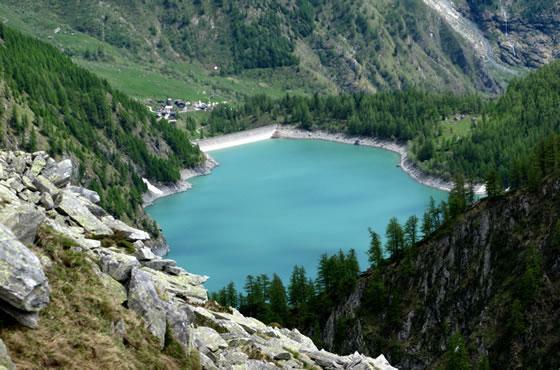 The first and also the only one that is formed naturally is Lake Antrona. It is situated at 1083 meters above sea level and is the result of a landslide on the night of July 27, 1642 shocked the physiognomy of Antronapiana forever. 50 meters deep, the lake has a capacity of 5.6 million cubic meters of water. A socket on the bottom carries its waters to Enel's Rovesca where electricity is produced. 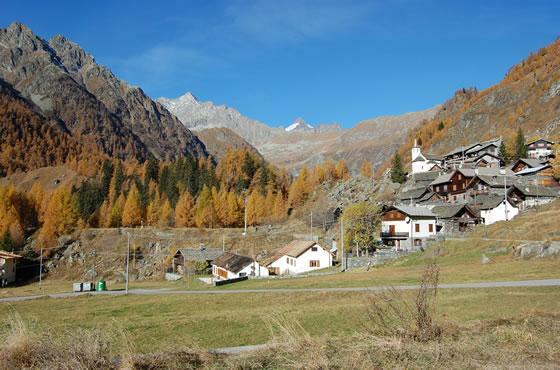 The second is the catchment area of the Alpe Cavalli, also called Cheggio in Val Loranco. It is a dam containing approximately eight million cubic meters of water. Through a penstock is entered in the middle of Rovesca with a jump of 711 meters. The third is the dam of Campliccioli which is 1375 meters and you can reach him through different paths. Fourth and fifth are respectively, the dam Camposecco and that of Cingino that are over 2000 meters in altitude. 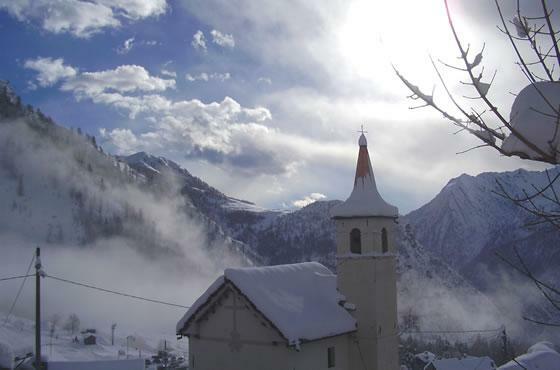 If your passion is high-altitude, Cai Villadossola periodically organizes excursions for experienced mountaineers. Located at strategic points in the valley you can find shelters and camps that costituicono a valid support for hiking at high altitudes. The Valley offers not only breathtaking scenery and beautiful places like the woods of beech and conifers, but it does happen to come across in herds of ibex that throughout the summer spend whole days on the balance on the wall of the dam in search of salt. Clinging to the walls of the dam of Cingino, almost 49 meters suspended in the air, it seems they can fall at any moment, given the slope impossible. Instead, these large bovids are simply looking for salt, mineral found in nature in the form of saltpeter. How do they do? Thanks to the wide hooves and elastics that are taken as a pincer in the crevices of the rock. The mountain goats are not the only mammals that inhabit our park, it could also happen that you meet the marmot, fox, badger, hedgehog and squirrel. 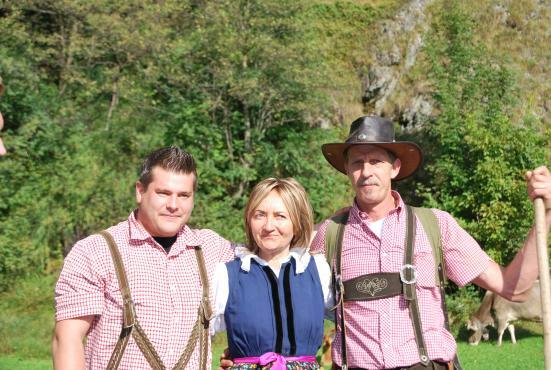 And yet, roe deer, red deer and chamois, all typical inhabitants of the Alps. So how can this happen, raising his head, to see the eagle fly over your head, buzzard or see in the distance the rock ptarmigan and grouse. Not to forget the butterfly Erebia of glaciers (Erebia christi), which lives in only seven known locations including our valley. Do not underestimate the flora of Valle Antrona. 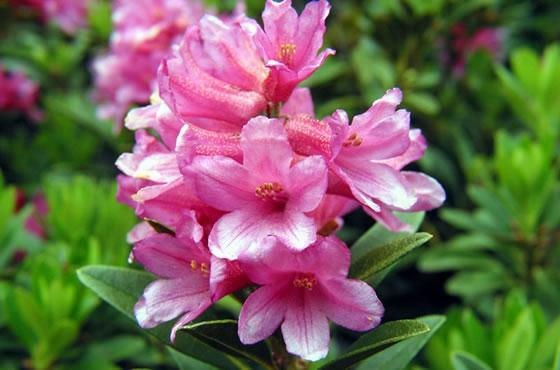 The most typical forest type that you get from us is the larch forest undergrowth with a prevalence of blueberry, rhododendron and juniper, although the Queen of the Alps remains the edelweiss flower protected and well preserved. 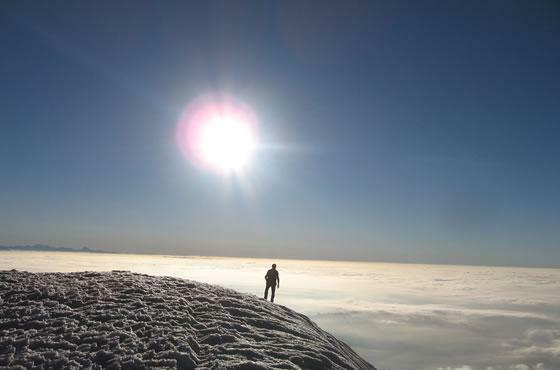 If you love the snow, we'll find many fans of ski mountaineering. 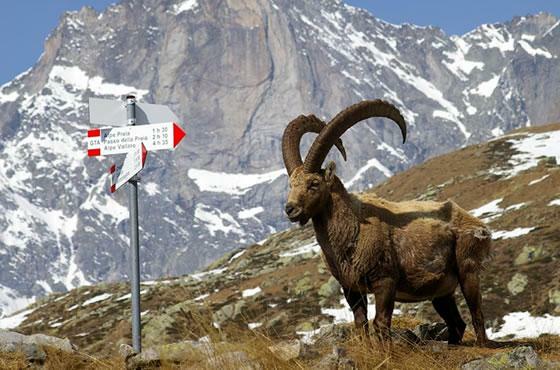 The three preferred destinations are: Pass Fornalino, Caval Ro, and the Alpe Forcola. 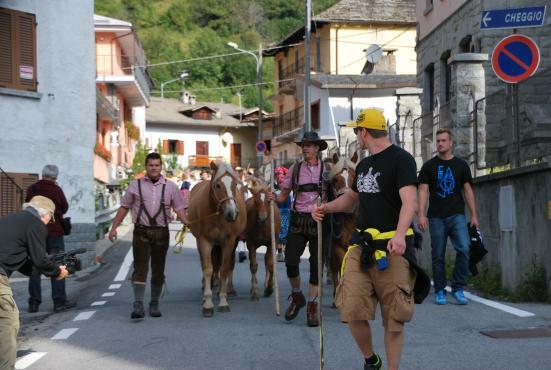 You can also join the race that every winter a group of volunteers from the Mountain Rescue Villadossola and Antronapiana organizes Cheggio at sunset. The track is illuminated by the beam of the individual front lights of the participants giving viewers, downstream, an amazing sight. Our only lift is located in Cheggio: the case of small slopes and docile little pendants are particularly suitable for children and beginners. In Antronapiana, however, a 3 km loop is dedicated to cross-country skiing. This ring is very well maintained by volunteers who daily settle the tracks. The ring around the bottom of the sports center of Antrona and winds through a beautiful forest of larch trees. The track is almost entirely sunny, surrounded by silence and away from the country. Often it is crossed by wild animals who venture to the edge of the first houses of the village. Without much effort you can also enjoy staying at Antronapiana to skate on the ice rink maybe listening some music. You can rent the ice skates, cross country skiing and downhill skiing and all the equipment that you need, right at the skating rink. If you love walking in the snow, you can rent snowshoes and all the attrezzautra suitable and, if desired, you are accompanied by a naturalist guide. Please contact us for more information. You can walk in the peace and quiet of a snowy forest and observe the wonders that Valle Antrona has to offer. And if you're lucky, spot some wildlife. Among the most beautiful routes that pass along the valley of the Fornalino, with deviation to the right pasture Alpe Meri and arriving at the saddle Caval di Ro, at an altitude of 1895 meters. It is a particularly attractive route, allowing you to admire some of the most beautiful mountains in the Ossola: the Andolla, the Weissmiess and Monte Rosa in Anzasca. 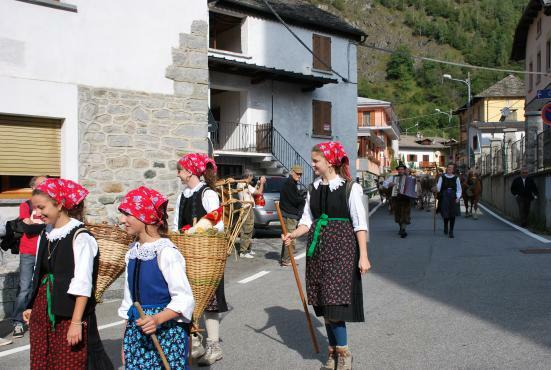 On 10 August, the day of San Lorenzo, the patron saint of Antrona along the streets of the town you can watch the parade of traditional costumes from every part of the Ossola. A charming scene , especially in the evening: a trail of torches and people dressed in old clothes, accompanied by traditional music. The procession ends in front of the main church. On the night of December 30, three parades anticipate the new year: the first is walking with lighted torches among the streets of the village, illuminating the most picturesque corners where there are cribs and statues sculpted in ice from the locals. The second part candlelight vigil to music on skates from the rink, a dozen young people dancing on the ice with lighted torches, drawing real choreography and then give way to the third and final parade on skis. The latter part of the top of the country to give tourists and residents a beautiful light show. These three torchlight will eventually join the bonfire. At the end of the evening you use offer mulled wine and hot chocolate for everyone at the multipurpose hall of Antronapiana where good music keeps him company at all until later. They are called "Autani" which means "Litany", a tradition that dates back to the sixteenth century with a protective function by epidemics and famine. The Autani from Valle Antrona are three: that of Montescheno (called set frei), one of the longest processions in the Alps For four hundred years, the third Sunday of July as you travel over twenty miles on foot, from sunrise to sunset, walking on rugged mountain trails and singing the Kyrie and the Miserere. And then there are those of Seppiana (San Jacam) and Alpe Cavalli. There are many museums and cultural sites that enrich the Valle Antrona. Here is a list of the most important, ground under there cities. Montescheno: the Museum of the mill and grinding, where they display news and information and explanatory images on the operation of the mill in memory of the past and the population of Montescheno. Still here in this beautiful sunny city, you can visit the narrow streets between the old bread oven in the village of Progno. In Vallemiola you can found the 3381926298, grinder and over have both been renovated in 2008. There is also a wine museum which explains the operation of the press and the cultivation of grapes and grape processing. Also in the village of Progno there is an old wine press for pressing grapes. The goal of these museums are to educate tourists and future generations of locals the secrets of harvesting rye and the production techniques of wine production, that are both ancient arts. In Seppiana the museum of religious events contains the treasures of the two religious processions as the Autani "set frei" (Autani of the seven brothers) of Montescheno. A procession that starts at 4 in the morning from the Church of Montescheno and returns in the evening at about eight and a half to celebrate a mass together. This procession, a walk in the mountains, lasts up to 13 hours and reaches seven crosses in memory of those seven brothers. Along the way women and men, many dressed in traditional costumes, sing and pray. The same is the Autani of Saint James of Seppiana, but the journey is shorter and the religious procession ends in the church for a time of prayer final. In Viganella the museum of iron and its extraction, the conference room with the Museum of Giovanni Pietro Vanni are the pride for the people of this country. Inside the museum are stored news and information of this sculptor, but also his drawings and original photographs. The dining room, in all its traditional architectural style, is used for holding conferences, meetings or projections. Even in Viganella you can find an ancient bread oven in the center of the city and one in the village of Rivera. In Antronapiana, the visitor center of the mines, in the village of Madonna, as well as exposing illustrative panels on the extraction of iron and excursions that you can do in this area, offers the possibility of a connection to the computer system planning. The water museum established in Antronapiana contains all the information on the water cycle and its early industrial and industrial use, as in the municipality of Antrona Schieranco are 5 lakes and several hydroelectric plants. In the subburb of Rovesca you can found an old house with a beautiful porch and courtyard has been transformed by the City of Antrona Schieranco in a house museum. Each room has been restored keeping the original architectural standards. This structure is not yet completely finished, but soon, thanks to the contribution of the Piedmont Region, will be able to accommodate tourists who want to experience living in the magic of the past. And finally Julius Gualio Dovers, artist from Antronapiana. Our artist, who was born in Italy in 1632, sculptor and painter, after his studies worked in the workshop of Maestro De Bernardis of Buttogno in Domodossola where he learned the art of design, styles and techniques of carving, coloring and gilding. After having his own company, the works of the master Gualio, adorned the Church of Antronapiana, landed across the Ossola and out, until you reach the Saas Valley in Switzerland. The master Gualio is indicated in many documents as a "sculptor and gilder", but is also a painter. Its main activity was to build altars and statues and ornaments.